Les Daniels, 68, died November 5, 2011 of a heart attack in Providence RI. Daniels was best known as a comics historian and authored many books on the subject, most famously Comix: A History of the Comic Book in America (1971) and Living in Fear: A History of Horror in the Mass Media (1975). He wrote numerous other books on superheroes and the major comics companies, including World Fantasy Award nominee Superman: The Complete History (1998). Daniels was also a fiction writer, notably of the Don Sebastian de Villanueva vampire series: The Black Castle (1978), The Silver Skull (1979), Citizen Vampire (1981), Yellow Fog (1986), and No Blood Spilled (1991). His short stories include World Fantasy Award nominees “They’re Coming for You” (1986) and “The Little Green Ones” (1993). He also wrote historical fiction. Leslie Noel Daniels III was born 1943 in Danbury CT. He attended Brown University, where he wrote a master’s thesis on Frankenstein, graduating in 1968. He worked variously as a composer, bluegrass musician, music writer, journalist, and reviewer. 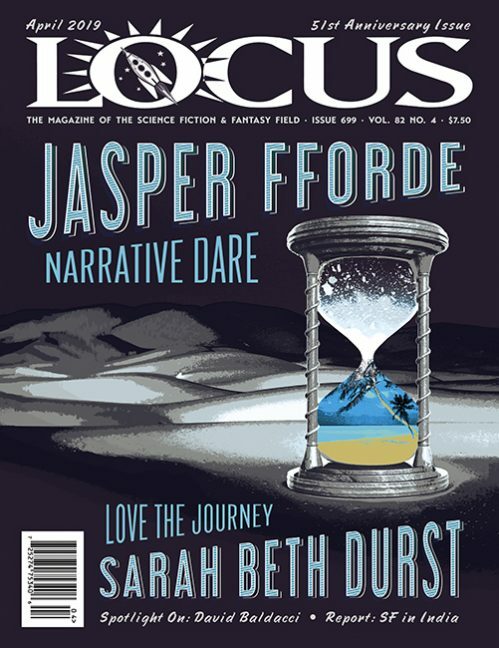 The complete obituary and appreciations will appear in the upcoming print issue of Locus.